The ATA presented Speed Date a Sustainability Expert in partnership with the City of Melbourne and Positive Charge as part of the Sustainable Living Festival 2014. 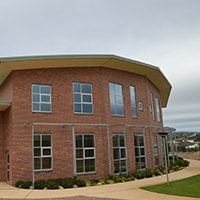 Prior to joining AGGA, Warren Overton worked in the area of building sustainability for over 15 years, working on a wide range of residential, commercial and institutional buildings. Warren has developed building sustainability strategies, undertaken assessments against numerous sustainability rating tools and delivered countless training sessions and presentations. Warren has a strong interest and experience in the human wellbeing aspects of buildings, in particular the role of glazing. Brave new eco provides sustainable design and consulting services for domestic building, renovating, retrofitting and decorating projects. 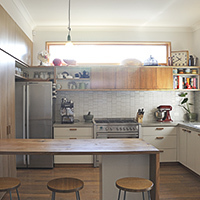 Principal Megan Norgate is an interior designer, permaculture designer and sustainable design consultant. 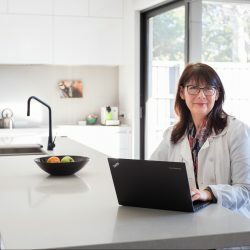 Megan is passionate about eradicating the use of toxic materials in the home, and creating environments that function ergonomically whilst promoting health, happiness and sustainable lifestyles. 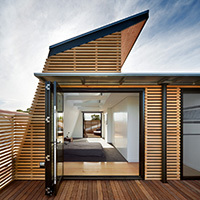 Coolthinc is a living architecture design construction company directed by Phil Edwards. 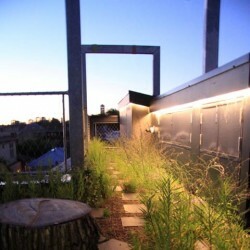 Phil’s mission is quite simple, to help his customers realise the value of a green roof or vertical gardens in their homes. Coolthinc operates on the principles that Living Architecture increases the value of any property significantly, enhances community outcomes and tackles climate change adaptation. Coolthinc services include design and construction of green roof and vertical garden features for high value redevelopment of urban properties. Karen Sutherland is a horticulturalist with over 25 years’ experience working as a sustainable designer and landscaper. She has specialised in edible gardening for the last five years, after a lifetime of growing her own food. 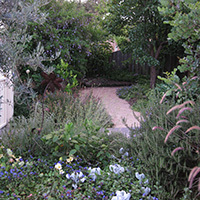 Her edible home garden has been featured on TV and in various publications and is part of Open Gardens Australia in March 2014. She works designing and teaching about edible and sustainable gardening. 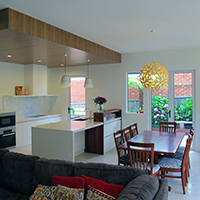 GLOW Design Group specialises in energy efficient homes that are functional and beautiful. 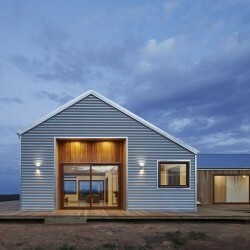 The GLOW-designed and documented “700 haus” collected good publicity and sustainability award recognition. Lead designer Tim Ellis is a registered designer with the BDAV. 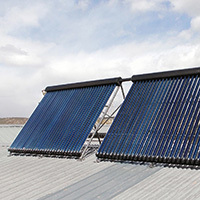 Good design is of utmost importance: high thermal efficiency not only helps save the environment, it saves on ongoing costs by using energy wisely. 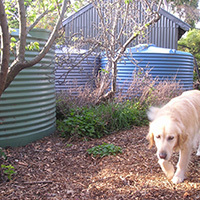 Green Makeover’s Stuart McQuire is the author of two books on water, including the ATA’s book “Water not down the drain: A guide to using rainwater and greywater at home”. He is an environmental scientist and a past president of the Alternative Technology Association. Environmentally conscious, ethical, and community minded, Green Sheep Collective is an architecture firm that brings sustainable design expertise, flexibility, and fun to the design and construction of your building. Filter ESD offers tailored sustainability consultancy services to help clients achieve more comfortable, efficient and low environmental impact buildings. Melissa Wittig is the director of Healthy Interiors and Relish Designs, principal interior designer and author of “The Healthy Home App”. 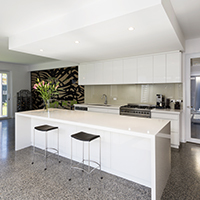 Relish Designs is a design service offered by online resource hub Healthy Interiors, assisting clients to create spaces that incorporate beauty, functionality, sustainability and health principles. A project focus on health prioritises quality of life and longevity for an overall project outcome of healthy, happy families. The Maxa Design team design stunning, stylish buildings that are beautiful to live in, replete with character and personality. Your design brief, budget and lifestyle form the basis of our concepts and we strive to keep your dream alive throughout the design process. 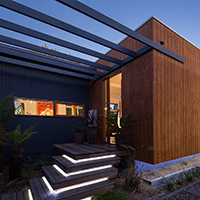 Maxa Design are passionate about designing innovative, energy efficient and environmentally sustainable homes. NOWarchitecture are lateral-thinkers; we achieve industry leading results through our holistic design approach emphasising integration of passive thermal and low energy systems to achieve cost efficient construction and low operational costs. We respond to the client’s needs, desires and expectations to create buildings that fulfill their vision to achieve aesthetic, environmental and functional outcomes within budget. Richard Keech is an experienced engineer with commercial experience in rating, modelling assessment and certification of high-performance hot water systems. He was a lead author on the Zero Carbon Australia Buildings Plan released in 2013. He is a regular contributor to ATA’s ReNew magazine, and his own hybrid, high-performance hot water system was featured in ReNew issue 115. 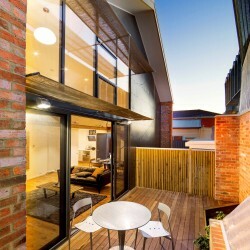 Steffen Welsch Architects Pty Ltd offers expertise in residential, commercial and institutional buildings. Our designs celebrate light, balance and beauty, adopting an ecological approach to the building and its environment. In our work we find a balance between cost efficient, environmentally sustainable designs and implementing innovative systems and products. Imm has over 9 years’ experience in the building industry both locally and overseas. 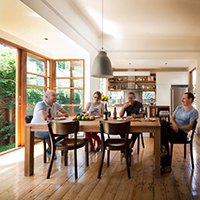 Her skills are multifaceted; she is one of a handful of certified PassivHaus designers in Australia and has exceptional graphical and environmental modelling skills. Consequently, she brings a grounded and research based approach to projects to ensure ESD is easily communicated and achieved. Assimilating her passion for ecological construction and interest in health, Imm brings an evidence based design approach to creating healthy buildings that support and promote user health.